After losing the important city of Viipuri to the Soviets, the Finns withdrew to the next natural defense barrier, the Kivisilta Strait. A small Soviet force crossed at the narrowest part of the strait and formed a bridgehead, and Finnish GHQ ordered a counterattack to clear it. 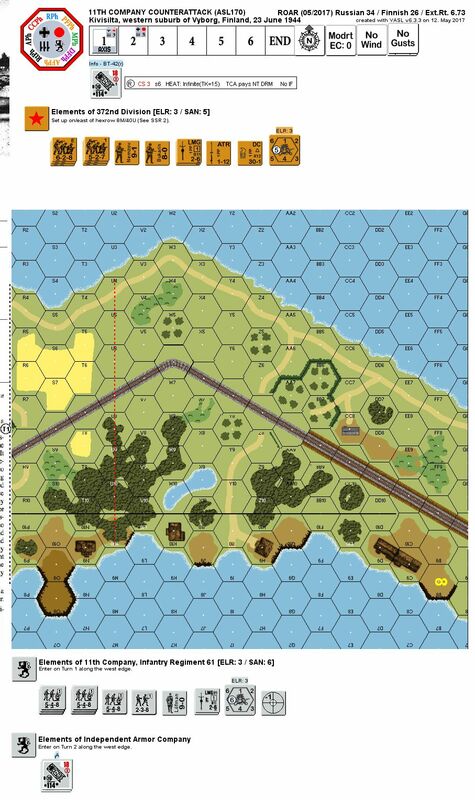 After a failed attempt by 10th Company, Infantry Regiment 61, the job was given to the badly understrength 11th Company with a promise of assault gun support. 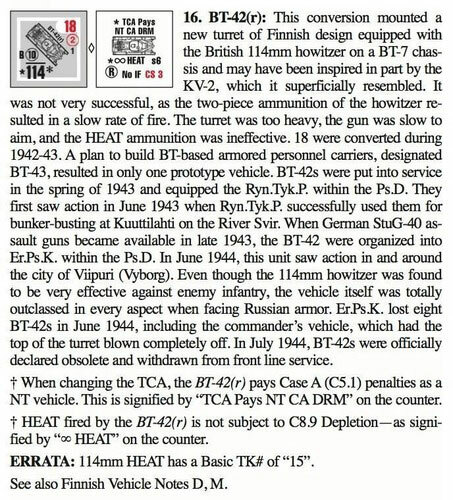 The attack kicked off without any armor, but shortly thereafter tow BT-42s arrived, providing the needed support for the assault to progress. 2018-09-05 (D) Lionel Colin vs Phil Duchon Russian win Dicey but fun ! 2018-09-01 (A) Steve Blickens vs Jake In progress To turn 4. Lost one assault gun (atr), Russians defensive fire very effective. Had to end it with Jake judged to be nominally ahead. Entertaining action. 2018-07-14 (A) Raoul Duke vs CB Russian win A very dicey scenario. A lot rides on the Finns having workable assault guns and cooperation from their sniper. I had neither. Today's lesson: Finns cannot self rally out of KIA results. 2018-06-07 (D) Martí Cabré vs Sebastiano Caltabiano Russian win I split my defens north and south of the railroad. My plan was to hold a couple of turns and then fall back to the southeast hill building. The Finn infantry closed up fast but the assault guns instead of getting a good shooting position quickly freezed one of my squads... the one with the DC, which in DF threw it and blew up one vehicle. That started a fire that in two turns burned all the central woods. Meanwhile the high SAN had been devastating on the Russians, killing the 9-1 leader on the first turn and breaking a couple of squads. The north flank held well and both squads retreated to the building north of the railroad, no need to fall back more, and another squad held in melee for a couple of turns. Another squad was in the last Alamo position. Finally on Turn 5 of 6 a Finn assault on the north position was broken with high morale rolls and they conceded. It's a cool scenario to plan a fighting withdrawal with almost no space to go but the high SAN of 5 and 6 can create excessive sweeps. 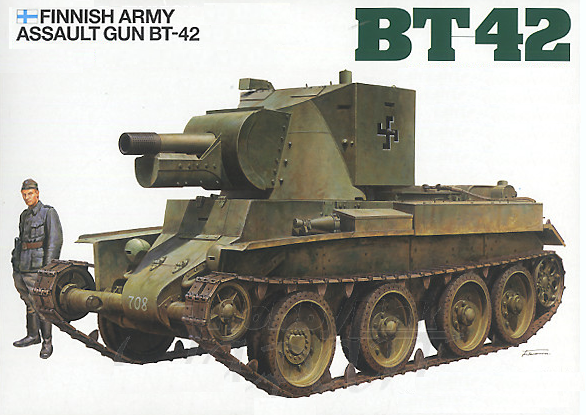 Also the BT-42 seem great but they are not, with a in armor that can be destroyed by MG fire. 2018-01-19 (A) Steve Blickens vs Jake Russian win Went down to last turn.Game had wild swings of fortune and we enjoyed the situation. Lost both assault guns but still came very close to a win.